Please Note: Most of the forms and documents are presented here in the "pdf" format that requires Adobe Acrobat or Adobe Reader to view. 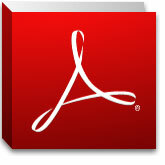 Adobe Reader is a free software program that allows anyone to open and read Acrobat-produced documents. If you do not have Acrobat or Reader, you can use the link below to go to Adobe's web site to get the Adobe Reader for free! Get Adobe Reader for free here! Please Note: Most all of these forms are capable of being filled in directly from your web browser. Once you have filled in the form, please save the completed form to your computer for your records, Then print a copy to submit to the appropriate SCV officer. Each document or form will open is its own browser window or tab. Because of this, please make sure your browser will allow pop-up windows for our site.